What are you and your business doing to safeguard the planet? 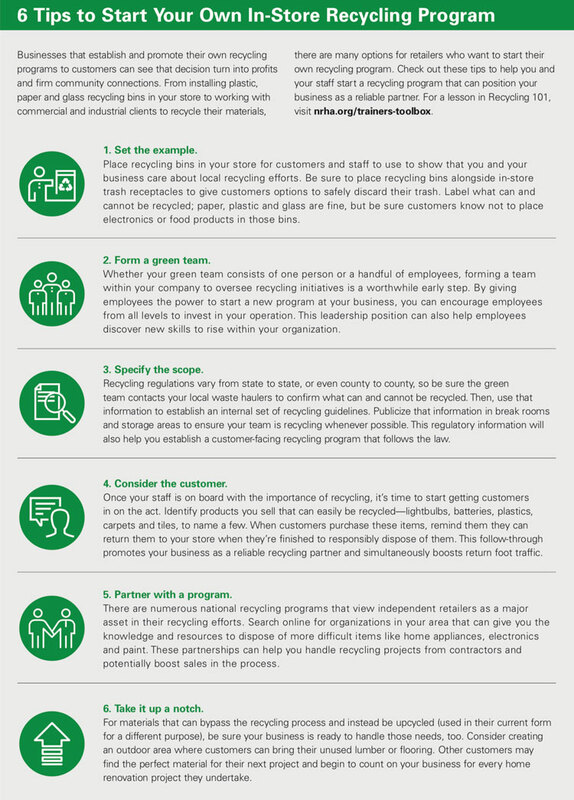 One simple action could be to institute an in-store recycling program both for your employees and customers to help usher products from sale to safe disposal. For millennials, climate change and eco initiatives are incredibly important components of how and where they shop. According to a 2017 study from market research firm The Shelton Group, 76 percent of millennials are concerned about how climate change will affect their quality of life. More pressing for retailers, the research shows that 70 percent of millennials say a company’s environmental practices impact their purchasing decisions. Retailers should take note that when millennial customers trust a company’s social and business practices, more than 90 percent of them are likely to recommend that business to friends, family and social media followers. The data also revealed millennial shoppers are less likely to recycle at their own homes, but are more apt to buy from companies that have their own green initiatives. The data showed that 34 percent of millennials recycled in their homes, while 52 percent of other age groups reported recycling at home. The data show that millennials, the youngest active demographic in retail, are seeking partners they trust to help them reduce their footprint and facilitate their eco-friendly activities. 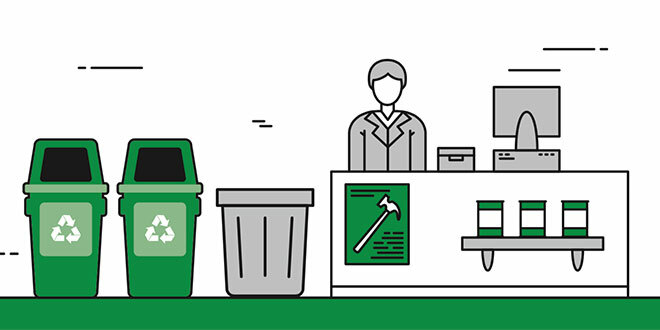 By starting a recycling program at your business, you could capture repeat business from young customers and position your operation as a reliable recycling ally for years to come. In this article, discover how Greg and Kari Carlson of Carlson Do it Best in Nisswa, Minnesota, decided to implement a recycling program at their business. Learn how the program has developed through the years to meet the Nisswa community’s evolving needs and why the Carlsons think every retailer should consider starting their own in-store recycling program. Also, get tips on ways you can start your own program and tailor it to better fit your business and your community’s needs. At Carlson Hardware, the entire team is trained to help customers understand what can and cannot be recycled. Owner Greg Carlson sees this training as a way to educate customers and promote return foot traffic to the store. 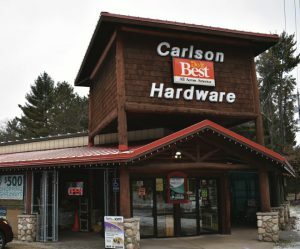 For the team from Carlson Hardware in Nisswa, Minnesota, April is an important month. Owner Greg Carlson will celebrate 25 years at the helm of the home improvement business, a position that he says enables him to stay connected with the members of his community. April is also Earth Awareness Month, and Carlson says his team will continue offering the in-store recycling services he began shortly after buying the business in 1994 to help customers take action to recycle their used products. For Carlson and his wife Kari, who works as the business’s secretary, helping customers safely dispose of their used household items and renovation products is one small action they can take to reduce pollution and connect with customers on a personal level. The Carlsons say they’ve recycled in their home for years, so importing that philosophy to their business was a natural decision. In 2000, the company began by first offering to recycle fluorescent lights for customers, and as the years passed, the business started to accept more items to recycle. Greg says the business now recycles paint, power tool batteries, propane cylinders and even broken Christmas lights and extension cords. Kari says the wire within those products is collected and sold. The money that results is invested in local charities to feed members of the community. The Carlsons say the recycling service is available to both construction professionals and DIYers, but has really caught on with DIYers. 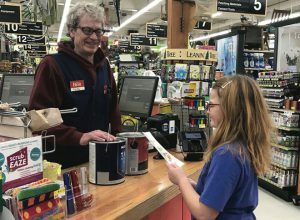 Carlson Hardware employees are trained to remind customers about the recycling program when they buy applicable items, and signage at the registers gives customers a final push to return their used items directly to the store once the customer has finished with them. 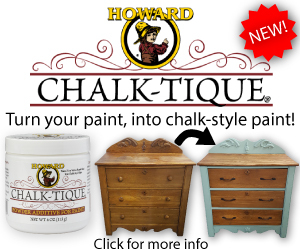 Recycling efforts at Carlson Hardware date back nearly 20 years.The company teams with national paint recycling organization PaintCare to ensure customers’ paint is safely disposed of after a DIY project. The business charges a small fee to recycle used items from customers, but Greg says it’s only what local waste disposal facilities charge for collection, and he doesn’t aim to profit from the service. 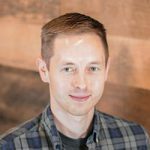 Instead, Carlson Hardware’s recycling program is just one way he and his team can protect the environment and entice customers to return to the business after making an initial purchase. Kari agrees and sees the recycling initiative as a way to connect directly with customers. Greg and Kari say they don’t actively market their business’s recycling program. They rely on well-trained team members and occasional social media posts to remind customers about the program. 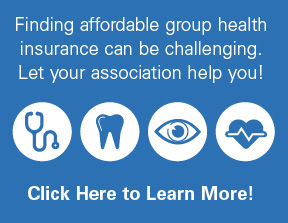 Through the years, word-of-mouth recommendations have boosted the program’s profile. The Carlsons recommend reaching out to local and national recycling programs, which can help independent retailers set up their own in-store recycling programs and provide associates with information to pass on to customers about the importance of recycling. 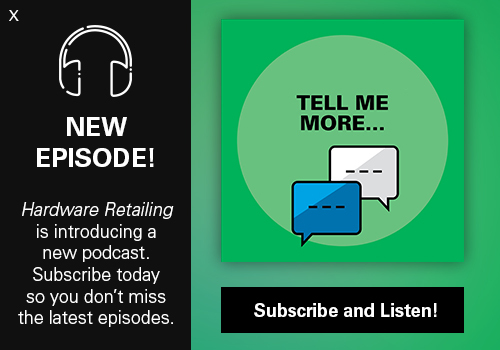 Whether retailers establish small or large recycling programs, Greg says it’s an important service to offer a community.